A friend of mine tells me of a movie she saw when she was younger, which would place it around mid-80s or perhaps a little later. There’s a girl who keeps having visions of a demon surrounded by fire. She goes somewhere – an island? a cave? – because it’s her “destiny” to confront this demon. My friend thinks that the title is one of those totally generic 80s one-word horror movie names like DESTRUCTIONATOR or KILLMONSTRINATOR or DEVILATOR or something to that effect. Hope you all can help! Hmmm, random answer: The Slayer? Holy crap! That could very well be it! Amanda, you are a genius! 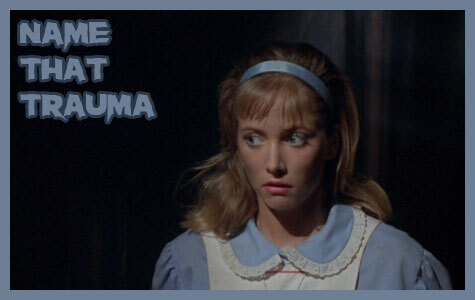 Here is a Kindertrauma review of THE SLAYER…. And Here is the brilliant movie….